In May 14th-16th 2015 the Massa-Cinquale Airport will host the international congress about Helicopter Emergency Medical Services HEMS Congress. The most important personality and international expert will debate about medical and aeronautical themes focused around this field. In the Exhibitors Area there will be the best companies and players of this field. One of them will be Bell Helicopter. Bell Helicopter – a wholly owned subsidiary of Textron Inc. – is a global leader in the rotorcraft industry, working with its customers to chart the future of rotorcraft. 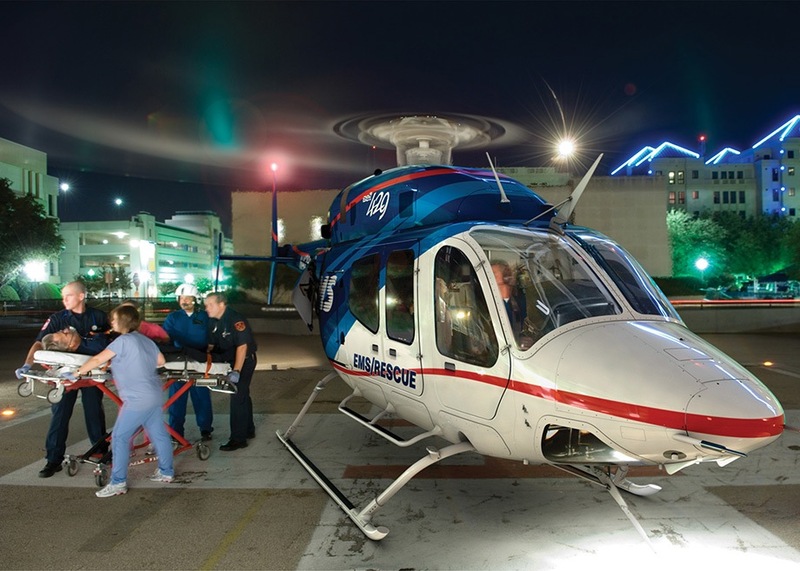 Bell Helicopter produces class leading commercial products enabled by tremendous ongoing investment in our commercial business and expanded next generation product line. Globally recognized for world-class customer service, innovation and superior quality, Bell’s global workforce serves customers flying Bell aircraft in more than 120 countries and has a headquarters conveniently located in Prague, Czech Republic offering regional customization, delivery and aftermarket service to address growing European demand. Nearly 55 years ago, Bell Helicopter entered the market in Europe and today it has become one of the company’s fastest growing regions with over 700 aircraft in its installed commercial fleet. To provide our customers with the next generation of vertical lift we have developed and upgraded three new commercial products, the Bell 505 Jet Ranger X, Bell 525 Relentless and Bell 407GXP. We have kept focused on incorporating technology to increase pilot situational awareness and to enhance safety, and currently lead the industry in offering fully integrated digital cockpits. In addition to provide its customers with the products they need to complete their missions, Bell Helicopter remains focused on providing world-class support and service to its European customer base. Currently, there are 15 independent representatives and local distribution and support centers in Amsterdam and Prague. We continue to grow and invest in our presence in Europe with the establishment of our first international Bell training center in Valencia, Spain which will open for business next year. The company’s focus on its customers is a key differentiator from the competition, as evidenced by Bell Helicopter’s consistent number one ranking in Pro Pilot’s service and support rankings for the 21st consecutive year.